One of only 45 nationwide, Dr. Maxwell is the only board-certified animal behaviorist in the New River Valley and Roanoke areas. The in-home services described here are available to families living within 50 miles of Blacksburg, VA.
Four in-home sessions take place over the course of approximately 8 weeks. Dr. Maxwell will conduct a behavioral history assessment and observe your pet in your home, then design an individually tailored behavior plan for you and your family to implement. Across sessions, the goal is to help you understand the cause of your pet's behavior problem and give you the tools you need to address it. For serious behavior problems, Dr. Maxwell will discuss with you your pet's long-term prognosis and response management requirements. 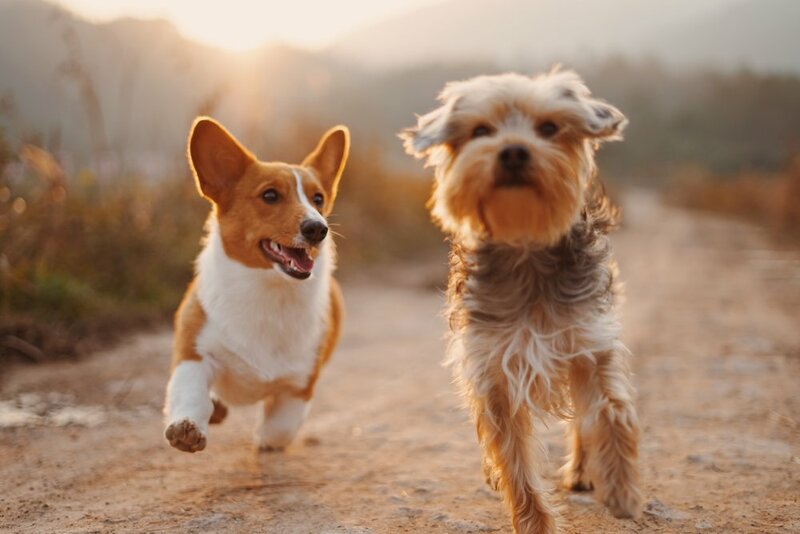 Common dog behavior problems Dr. Maxwell is called in to address include aggression toward people or animals, fearful behavior, separation anxiety, house soiling, excessive barking, jumping, resource guarding, pulling on leash, reactivity, thunderstorm phobias, and general noncompliance. Common cat behavior problems Dr. Maxwell is called in to address include house soiling, fearful behavior, aggression between resident cats or toward humans, and anxious behavior including ingestion of foreign objects, overgrooming, and repetitive behavior. If you would like additional coaching from Dr. Maxwell after completing the treatment series above, you can arrange for follow-up sessions individually at any time. If you are outside of these areas but within 50 miles of Blacksburg, contact Dr. Maxwell to assess your travel fee. Payment can be made by cash or check and is due in full at the first session. Services typically can be scheduled to begin within 2 weeks. A 10% discount on all services is provided for nonprofit groups, including animal shelters and rescue organizations.